UW engineering students showing off a race car they designed and built. disciplines. In addition, the Fair also features a hands-on design competition on site (The Popsicle Stick Bridge Load Competition sponsored by the American Society of Civil Engineers). More information on the contest can be found at www.seattleasce.org/ymf. Launching a straw rocket to see how high and straight it will go. 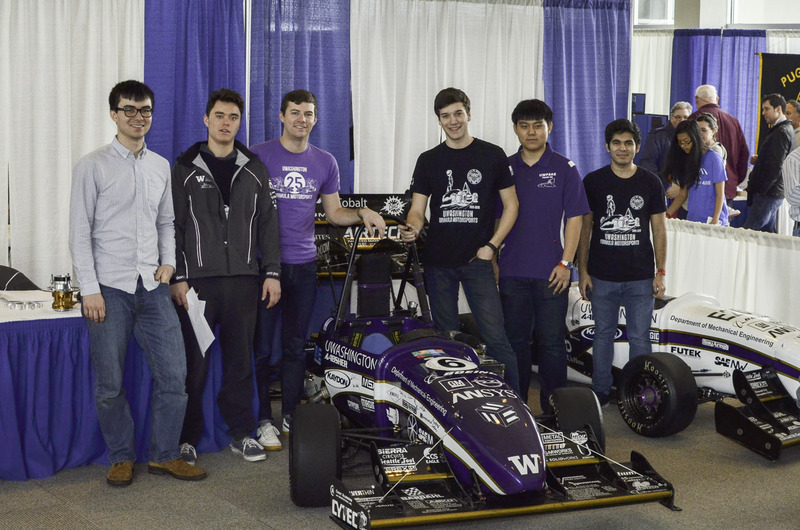 The Fair provides a fun, visible way to see and hear about the various types of engineering disciplines, as well as encourage students to think about engineering as a career. This is an annual event that coincides with National Engineers Week in February. Unfortunately, due to the weather that we are expected to have this weekend, this event will be canceled. PSEC will work to get everyone reimbursed for the event soon. Thank you for all of your support. We are looking forward to seeing everyone next year! Please do not hesitate to reach out with any questions. Have a safe weekend. It is that time of year again to start preparing for the 2019 PSEC Engineering Fair. 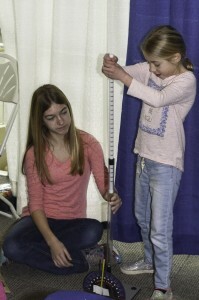 This year’s Fair will be on Saturday, February 9th from 10am to 4pm at the Museum of Flight. We will be in the same spot as always, and booth prices will be the same as past years. I encourage everyone to sign up early so we can plan our space and make sure everyone gets the booth location they want. One item to note: if you are going to pay by check or other means, or you are a student group, you will select the Pay By Check or “Special Arrangement” option. Do NOT select any other tabs. If you select any of the other options at the same time, it will prompt you for a credit card. Only select the final option in that case. Looking forward to seeing everyone! Please do not hesitate to email me at Elizabeth.Mende@hdrinc.com if you have any questions. 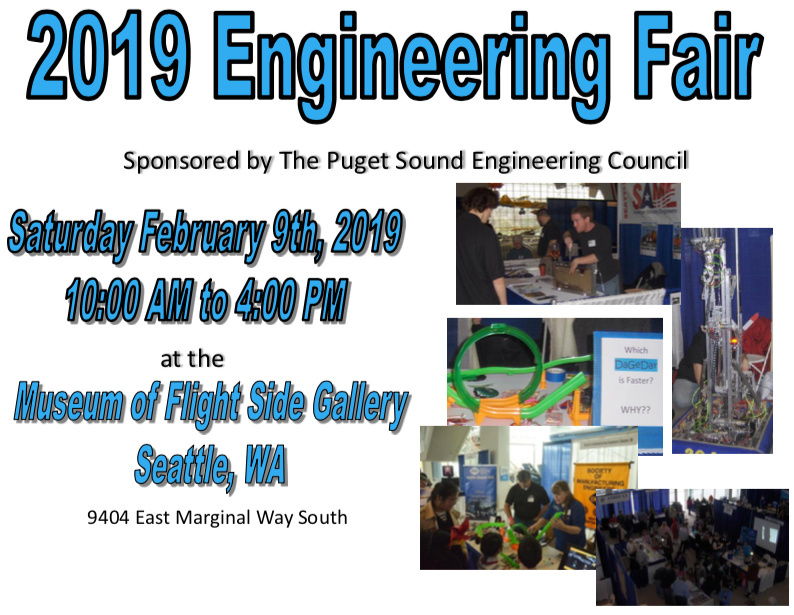 The 2018 Engineering Fair will be held on Saturday, February 10th at the Museum of Flight. The booth registration is currently open. The Fair runs from 10:00 AM to 4:00 PM and includes a Popsicle Stick Bridge competition sponsored by the Younger Member Forum of the ASCE. You can now register if you want to host a booth for the K-12 students. We are looking for organizations and companies who can host a booth providing kids hands-on opportunities to learn about engineering.